Craftprojectideas.com sent us this Wonderful Box of Projects for us to review and one to give to one lucky reader! Craftprojectideas.com is a sponsor, but is also taking part in The Heart Project to help donate money to The American Heart Association. Check out this post from last week to find out more about The Heart Project! When we received this Box of Projects we couldn't believe our eyes! So much to make and create! C had a wonderful time creating everything.....there are still activities we still haven't gotten to create! This box has kept her busy for the past couple weeks! There are sticker play sets, mosaics, coloring rolls/markers, puppets, modeling clay, tissue paper animals, foam beads, and so much more! 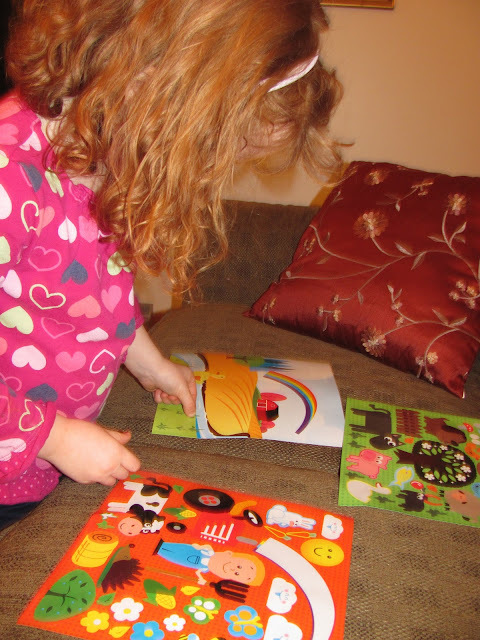 Here is C working on the Foam Heart Mosaic with self sticking foam....no sticky mess! Here is the Beautiful finished Heart Mosaic! C enjoyed the sticker play sets and scenes. There was also a bear you could dress up too! The coloring roll was a big hit too! Something about it being a roll made it extra special! The monkey and dog paper bag puppet were pretty cool and colorful! Thee tissue paper animals were really colorful and full of sensory exploration! Again, no glue and no sticky mess! Overall, the kit was really a HIT and like I said there is still tons to create....clay animals, foam bead necklaces! 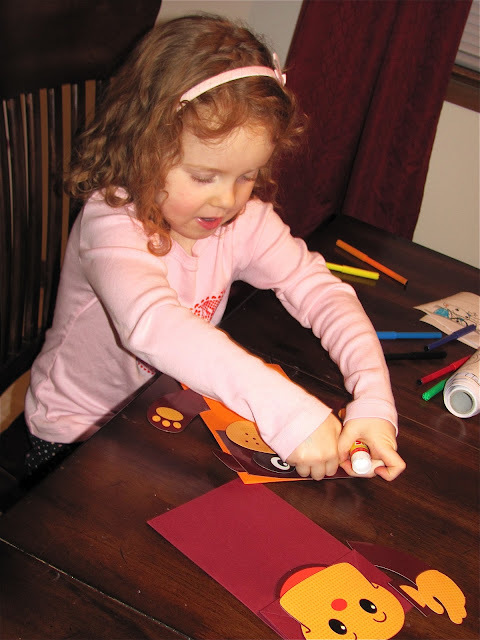 It is great for ages 4 and up and would make a wonderful gift for a crafty child. 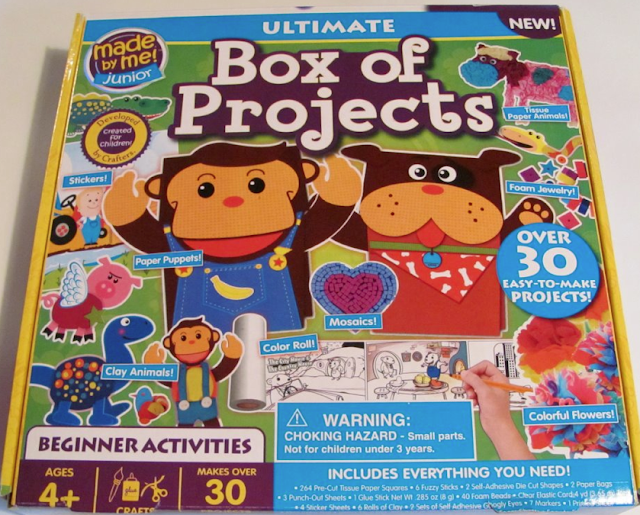 If you want to purchase this "Box of Projects", it is available at your local Walmart! Go to Craftprojectideas.com and check out their site here. Find one product that interests you (besides the "Box of Projects") and tell me about it in the comment section below. There are also great project ideas on their site too! For extra entries "like" Craftprojectideas on Facebook here. Winner will be selected February 15, 2012 at 10 pm EST. I already buy their beads and I like the jewelry box! Wow! This looks like fun! We love all their products. My daughter has been asking for the pottery wheel kit for quiet sometime. Next on the list! Love their assortment of beads and their bead storage box. And magnetic beads? So cool. I like their beads and google eye collection. I used the project search boxes at the top right and came up with the origami boat art, a cute idea. Wow that sure is an ultimate box!! 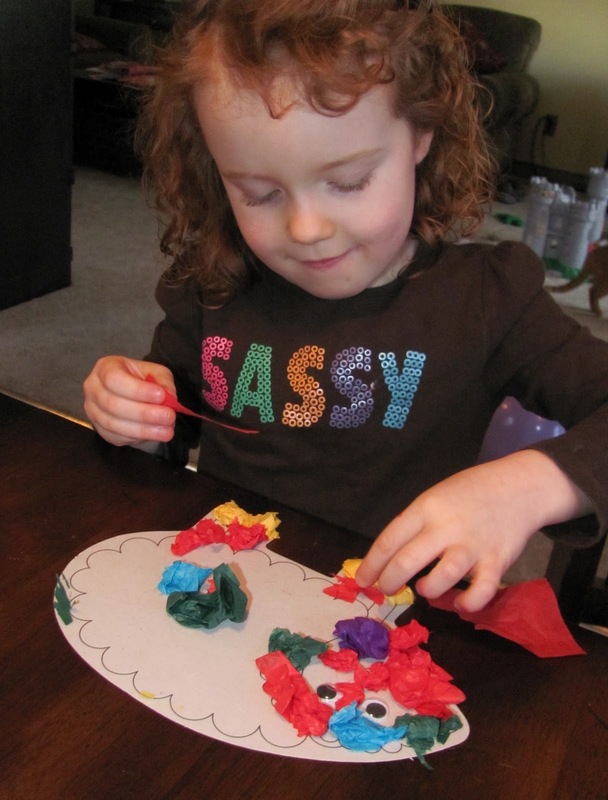 I would love to try their "Made by Me Junior™ Easy Clay Art"
The bead pets kit looks like something the girls would love! I like the plant stake made with wood dowels. I like the wooden clock kit. Love their stepping stones. We have 2 in our back yard and they are the perfect yard art. Love the stepping stones. I may need to pick some up for our garden this spring! What a fun giveaway! We love the glitter - everything is better with glitter! :D Thanks for the chance! I really, really like project box, but I think my boys would love the catapult wars! Wow!! This would be awesome!! I like the Foam cube stamps on their site! My daughter would love those! I will definitely have to go pick some up! Thanks for writing about this site! The kit looks so awesome. I was also interested in boy crafts featured on the site - http://www.craftprojectideas.com/index.php/products/activity-kits/boy-craft/623-boy-craft-catapult-wars. It might make a very nice birthday present for someone we know. And I also like them on FB now. the bead pets look really cute! I think we will try to find them :) We also follow on facebook! Thanks for all the ideas. I love the stepping stones and would like to try their finger paints. Would love to win. I like the acrylic paint sets for a future project I have in mind involving toilet role holders and I like the cube rubber stamps. I really like their Material of the Month section! And I didn't realize but I just bought some of their Alphabet beads earlier this week at Walmart! I had been looking all over for some good alphabet beads and didn't find what I was looking for until I came across those. Thanks for the contest! The Project Box looks great! I have liked them on Facebook. Thanks! I love the Sun Catchers! I remember doing those as a kid! I think my older son would love the catapult craft kit. My 2 daughters would have a blast with the project kit. They love all things crafty. I like the stepping stone kit. I like the ultimate fuzzy kit and the suncatchers. Thanks for the chance to win this. Great assortment! I like lots of stuff, Made by Me Junior™ Easy Clay Art being one of them. I like their page on Facebook. I I like them on Facebook. My daughter would love this! Love their suncatchers.